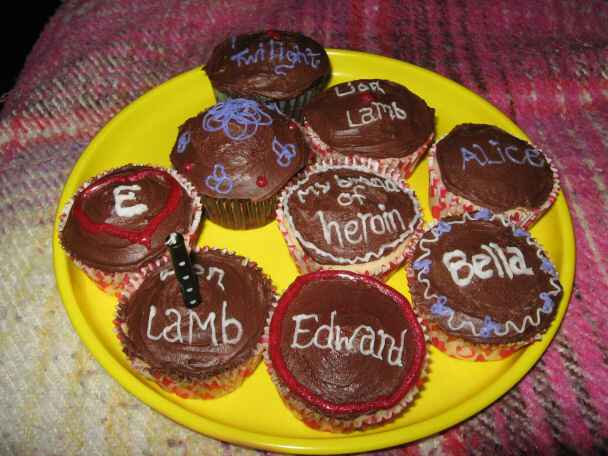 We've posted Twilight cupcakes several times already, but with the release of the DVD, there's been even more of them. 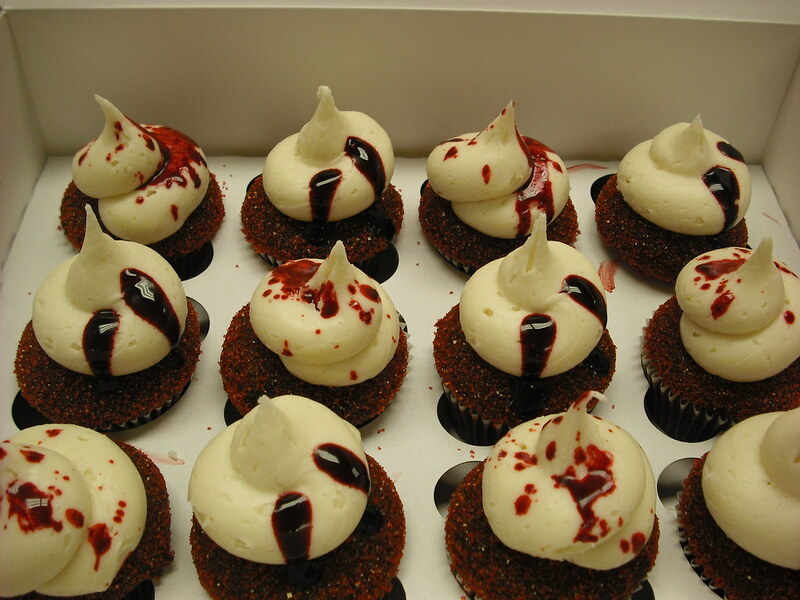 I've yet to see the movie or read the book, but I'm fascinated with how many cupcakes are devoted to it. 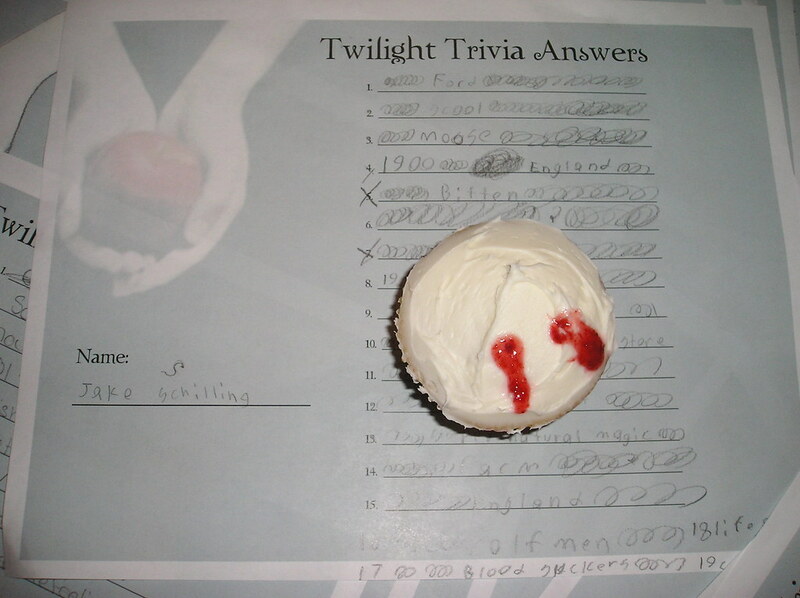 by Brookfield Library on Flickr - it's a Twilight cupcake a trivia contest answer sheet! 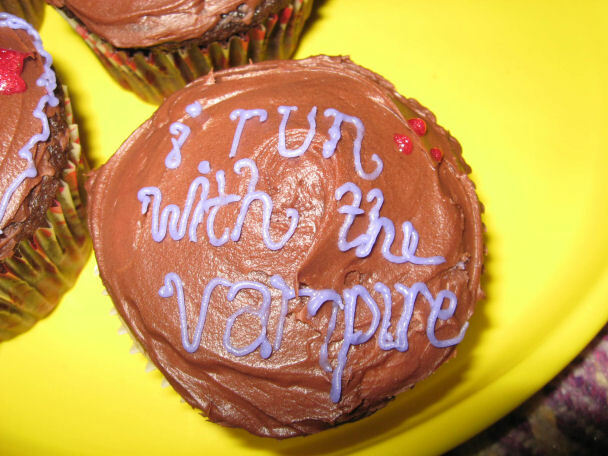 Flickr user Mrs. JiJi Bean made a whole set of Twilight cupcakes such as this one that says "I run with the vampire:"
my kind of cupcakes, i'll take the edward please! i like the one with the bite marks and the 'blood'. ohmigosh! 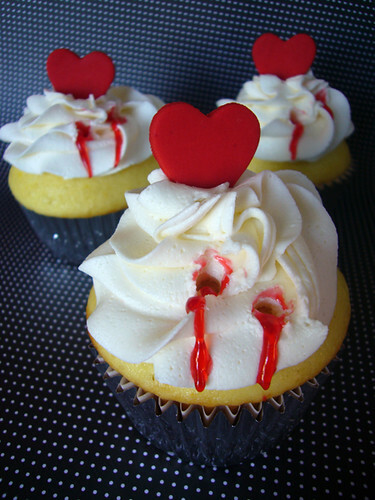 goth cupcakes ! love it!